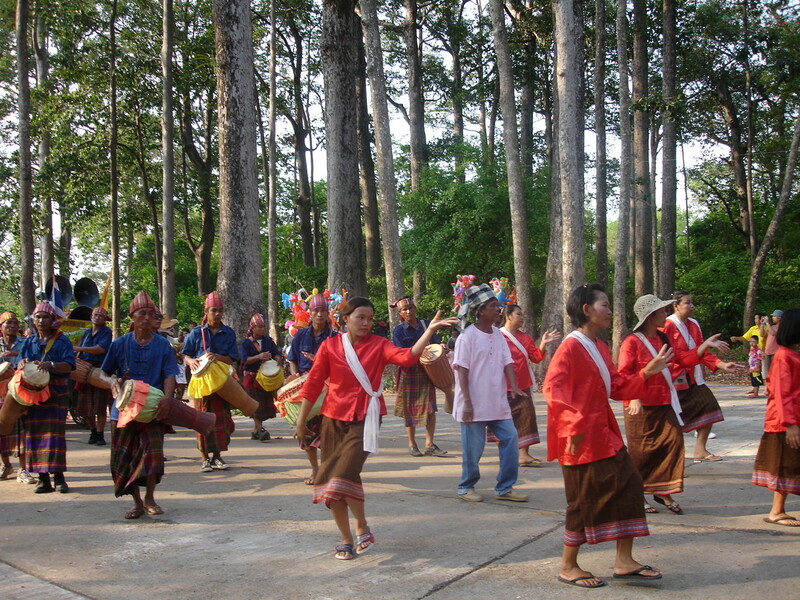 The monkey forest (Don Chao Poo) is frequently used by the community of Phana for ceremonial and celebratory occasions. 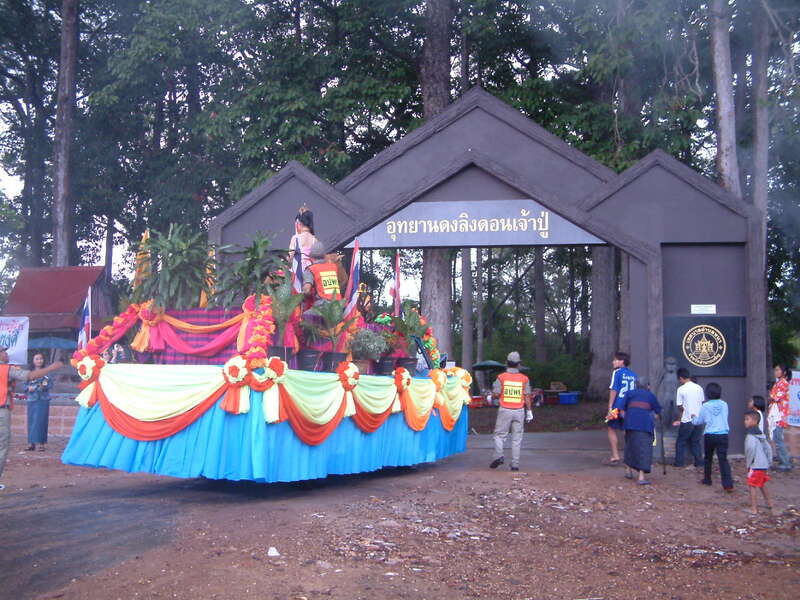 The Phana Municipality (Tetsaban Phana) is responsible for the forest and it is the tetsaban which organizes events there. 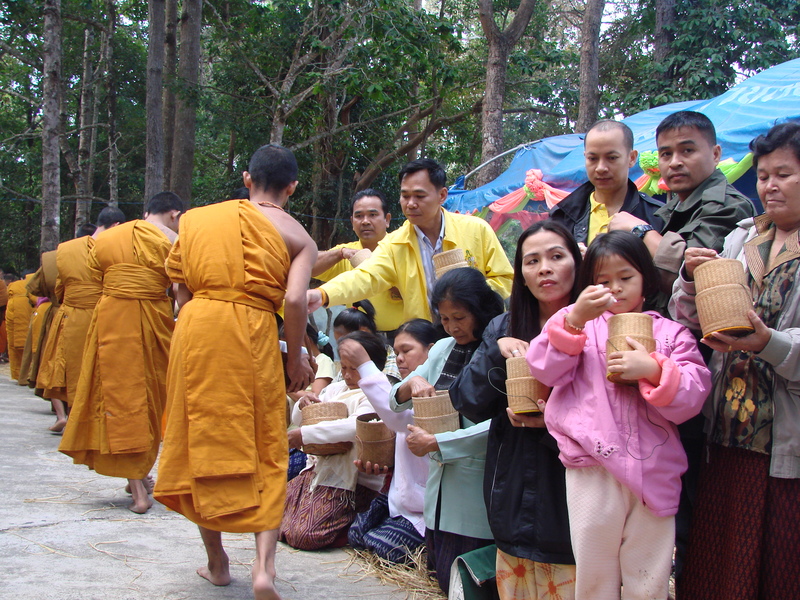 Sometimes the tetsaban is a facilitator, as it is for the annual retreat by monks who spend ten days in December meditating and teaching. 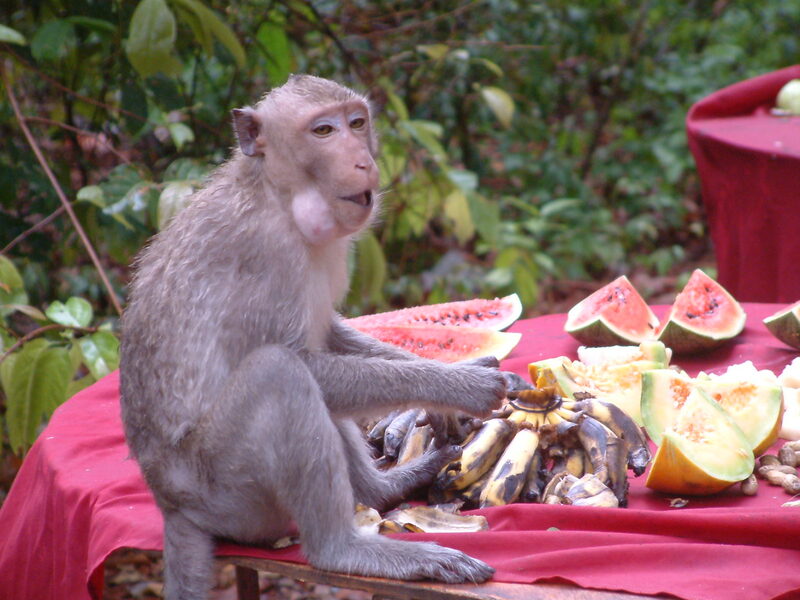 The tetsaban prepares the forest for them and organizes a rota to ensure that the food offerings are made each day. 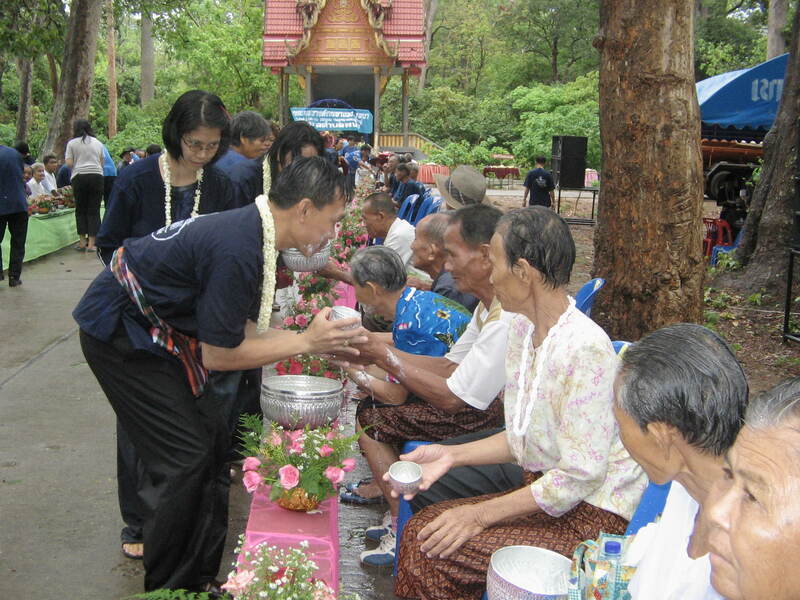 On other occasions such as the celebration of the Songkran festival in April, the tetsaban is more fully involved. 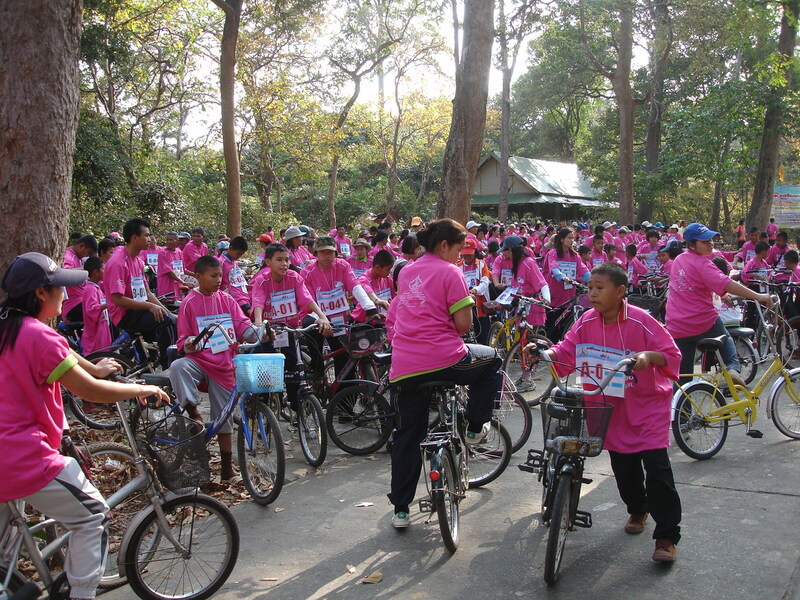 An event that was initiated in 2011 was the bicycle rally on the first day of the Wat Phra Lao festival in February. 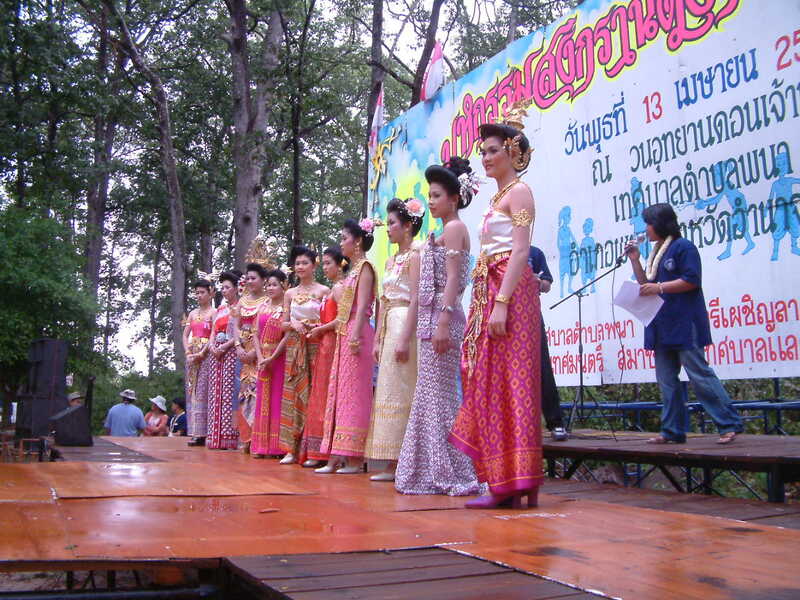 It is expected to become an annual event. 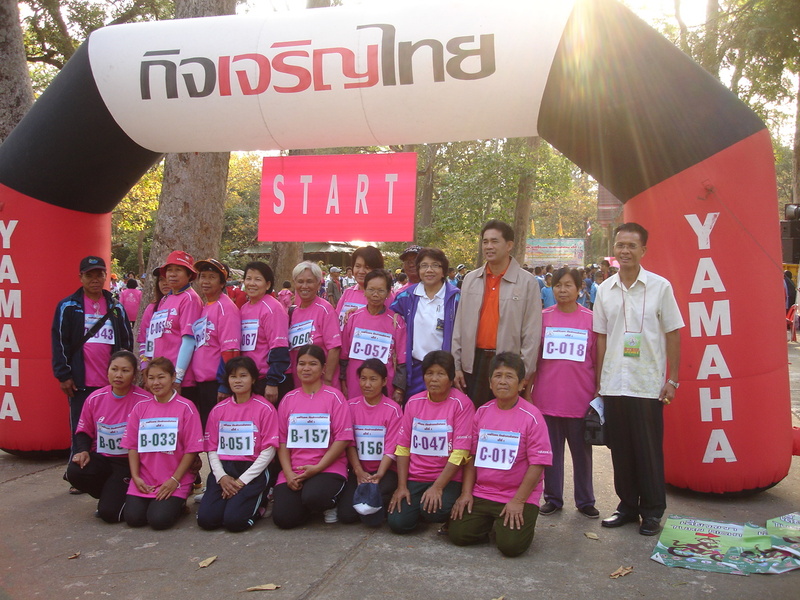 The opening ceremony and gathering of cyclists took place in Don Chao Poo. 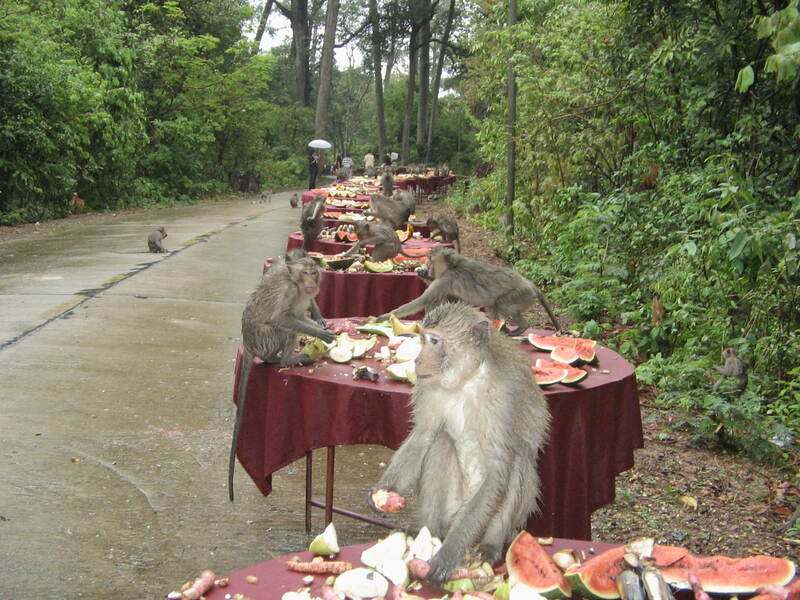 All these photos can be enlarged by clicking on them. 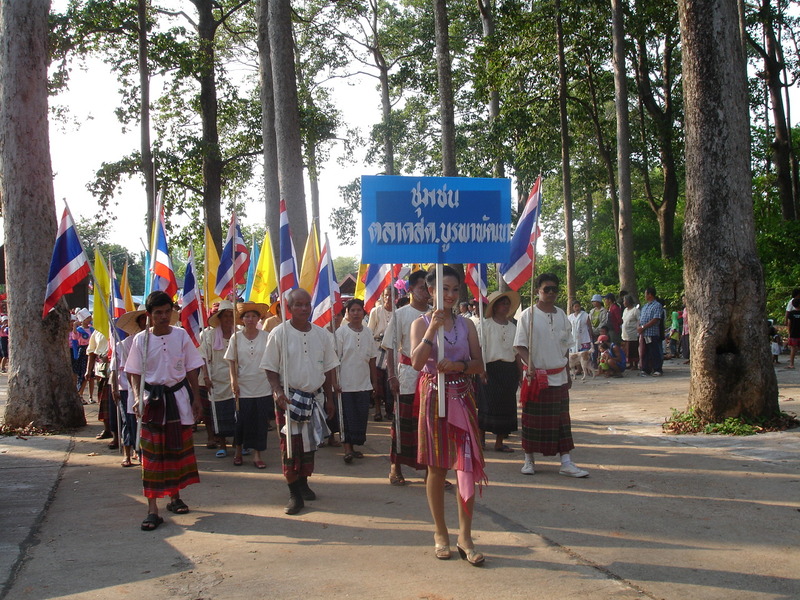 You can see them (and lots more) as a slideshow on the page ‘Community Use’. 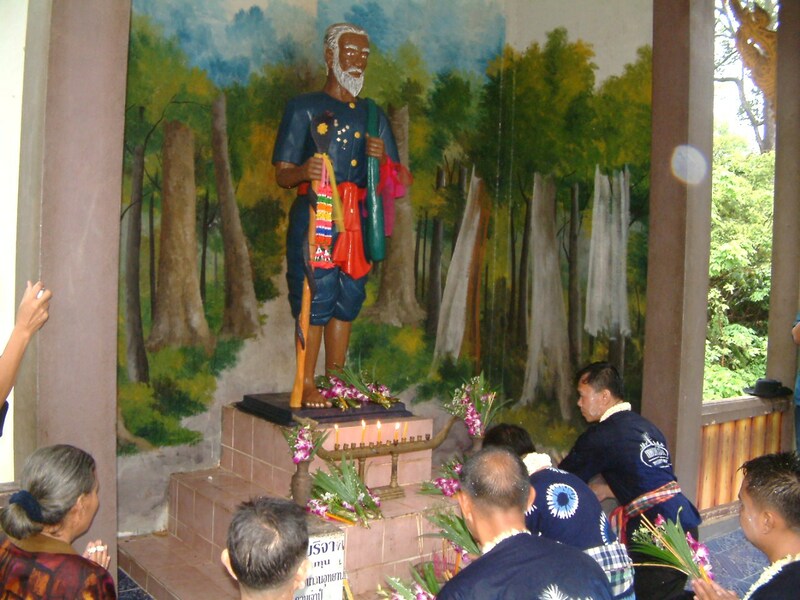 This entry was posted in Amnat Charoen Province, Ceremonies and Celebrations, Long-tailed Macaques, Monkeys, spirit cults, Tetsaban Phana and tagged Don Chao Poo, Isan, Long-tailed Macaques, Phana Municipality, Tetsaban Phana, Thai monkeys. Bookmark the permalink.